The “Tree of Life” design, often composed of several prints, mimicked exotic painted cotton bedspreads and wall hangings imported from India. 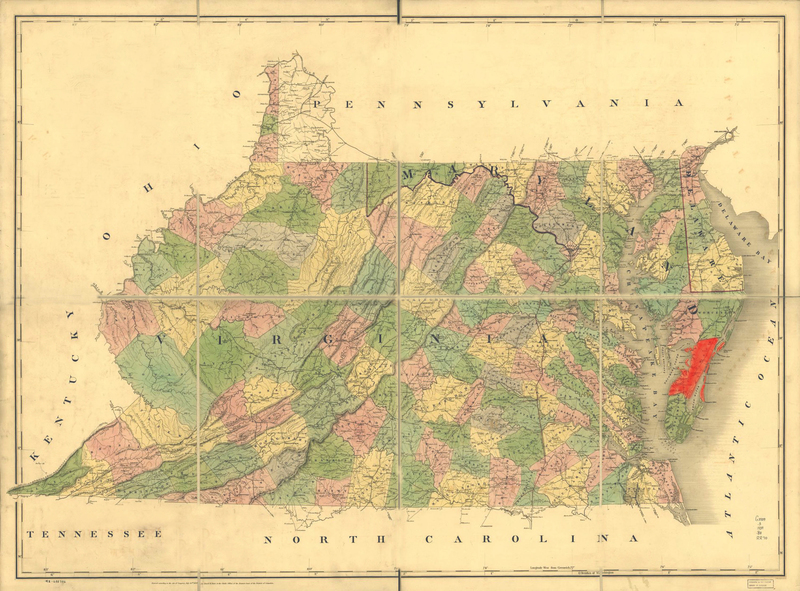 Seen throughout the East Coast, the design was especially popular from Maryland through the Carolinas. Catherine Custis, widowed in 1809, is recorded in the 1810 census living with her teenage son and five unmarried daughters, ages twelve through twenty-nine. In addition to her daughters, some of the eight enslaved servants (the census gives no gender or age details) were surely women who could help with sewing. “Caty” was in her late fifties or early sixties when she made this quilt. Look for the inscription “CP Custis” in cross-stitch just beneath the tree. The bird prints here and in the anonymous Tree of Life quilt are identical in design, but this is a wool blend, while the other is all linen. The flowering tree is nearly, but not exactly, the same as in that quilt and in the bolster cover, testifying to widespread copying among chintz manufacturers.